Containing everything you need to wax the arms, legs and larger areas of the body with ease to achieve salon quality results! Your home salon will be open for business with the Waxaway Salon Pro Roll On Wax Kit! Containing professional quality products and an application method used by professional beauty therapists, the Kit offers you the luxury of a salon waxing result in your own home. 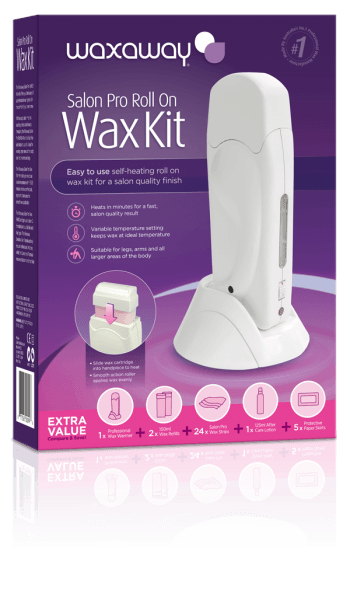 The Roll On Wax Warmer is ideal for waxing larger areas of the body such as the arms and legs, with results lasting up to 4 weeks. Heating your wax to an ideal temperature within 15-20 minutes, the Professional Wax Warmer has a comfortable, ergonomic hand-piece for smooth wax application. 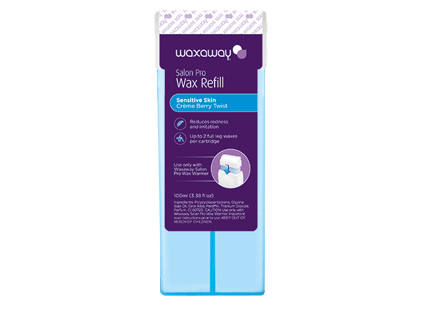 The Waxaway Salon Pro Roll On Wax Kit comes with two Strip Wax Refill Cartridges. Crème Berry Twist Sensitive Skin Refill actively reduces redness and irritation whilst Shimmer Sweet Rosie Coarse Hair Refill removes stubborn and short hair. 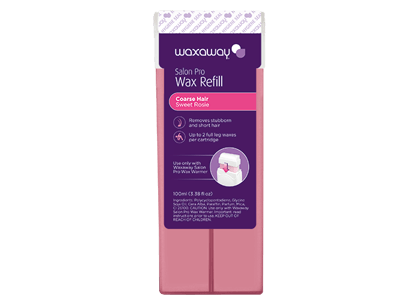 Waxaway Salon Pro Wax Refills keep wax warmer for longer, making your waxing experience more efficient. Use only with Waxaway Salon Pro Wax Warmer and Wax Strips.